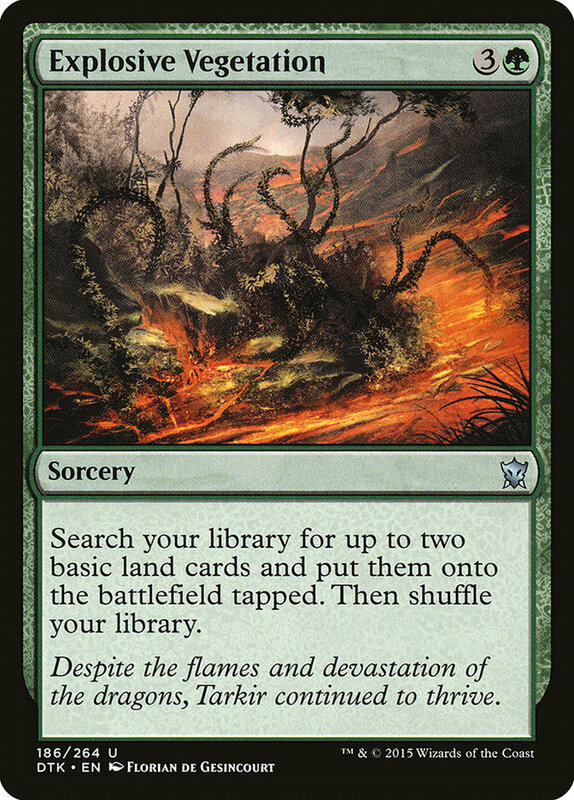 Card Text: Search your library for up to two basic land cards and put them onto the battlefield tapped. Then shuffle your library. Flavor Text: Despite the flames and devastation of the dragons, Tarkir continued to thrive.